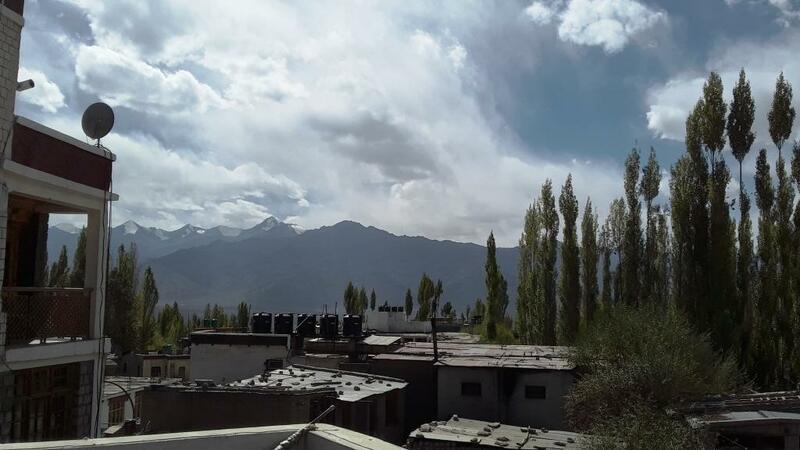 Last summer while returning from Kalpa we were going through one of the translations from Rabindranath Tagore on the beauty of the mountains…. “In the mountain, stillness surges up to explore its own height in the lake, movement stands still to contemplate its own depth.” The aura of the mountains was so daunting it was hard to ignore. Reaching Shimla we wasted no time for planning another trip and that to Ladakh, the land of brown mountains, high passes and blue lakes. It was fun to pack our bags for another trip in a gap of just three months and that too when Durga Puja and the soothing weather of the early autumn were on the cards. We were literally boiling with excitement and elation the moment we boarded the Go Air 8.40 am Flight from Terminal 1D of Indira Gandhi International Airport, New Delhi. The elation and joy of our 9 year son was unstoppable. 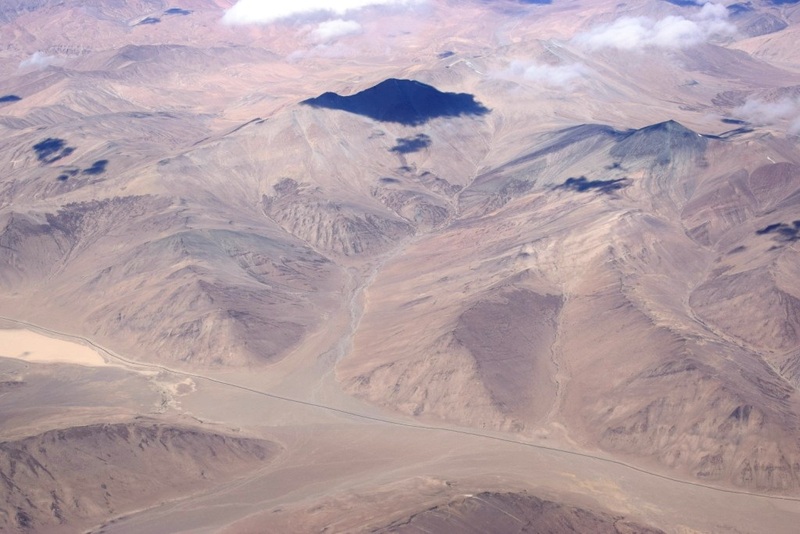 The flight zoomed through the runway and we were on our way to Leh. 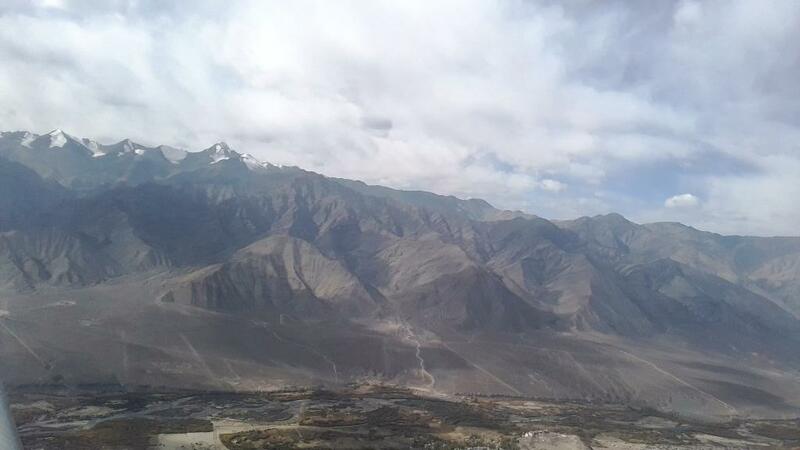 It takes hardly an hour to fly to Leh from Delhi. Our flight was no exception. Yet the aura of the flight and the views flashed on our eyes through the aircraft windows during the flight was just breathtaking. 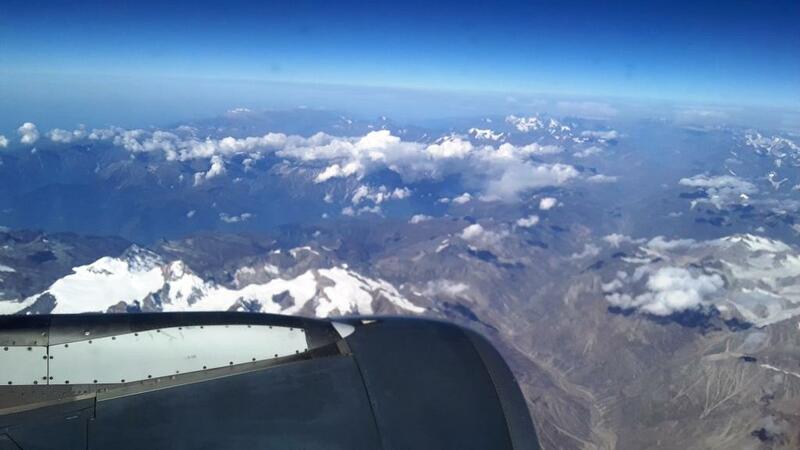 We were flying well above 35000 ft. Having a wing-side window seat on a flight to Leh was more than a rare privilege. 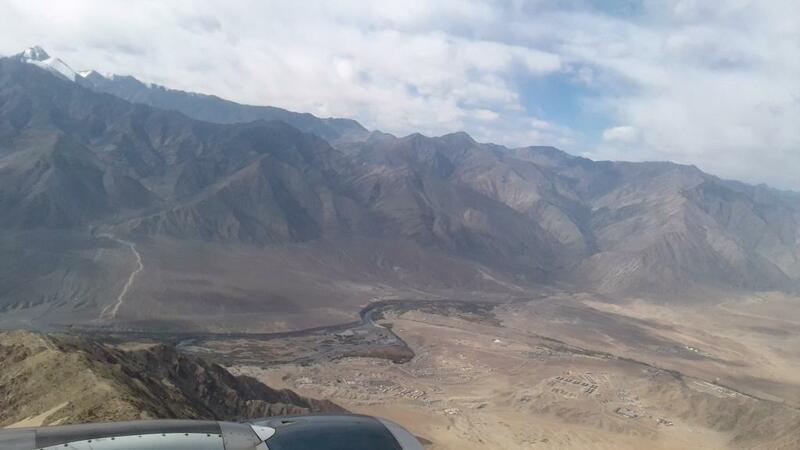 The flight captain announced that we had we had just crossed Chandigarh and Manali and heading towards Leh. 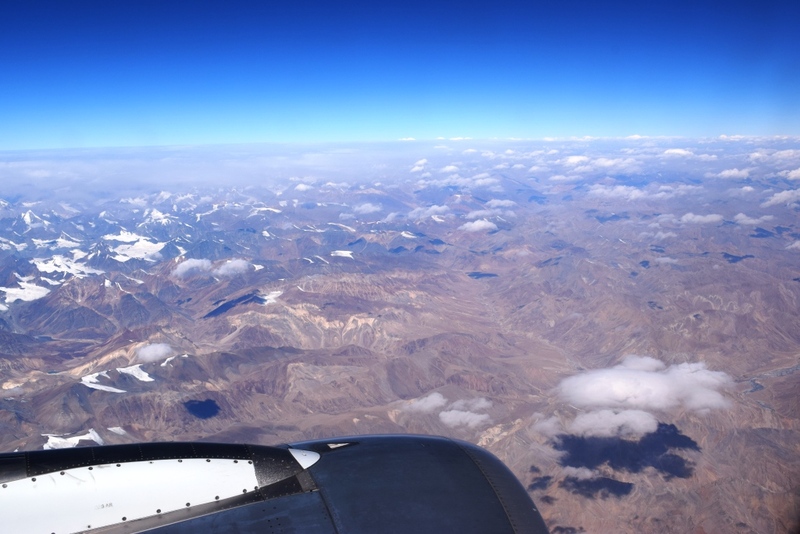 The sight of the boring white clouds suddenly disappeared and we were suddenly engrossed by lofty snow peaks and glaciers way down the line of our sight from the window. The mountains looked as if they were covered by endless white creams capping their tops. Suddenly there was a magical change in the view around us. 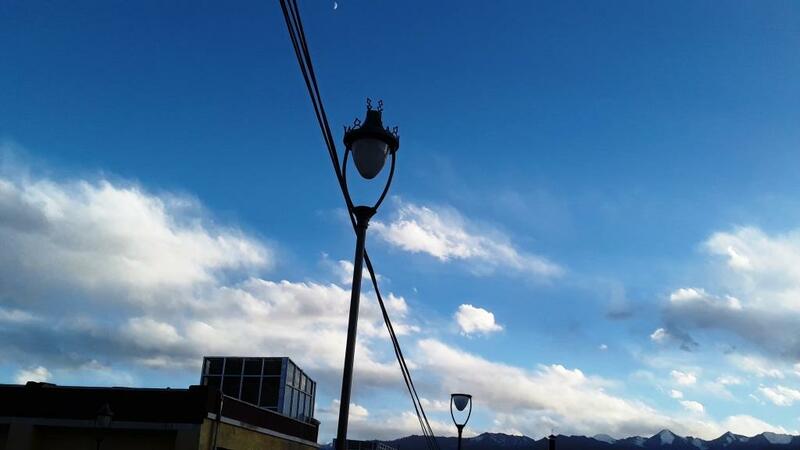 There was not a sign of the clouds, the sky was as clear and blue like a deep ocean and in this magnificent blueness the snow caps too had disappeared leaving a volley of barren, brown mountains surrounding us everywhere. The varieties of their browny shades were so overwhelming that they even surpassed the beauty and magnificence of the snowcaps lying far away. 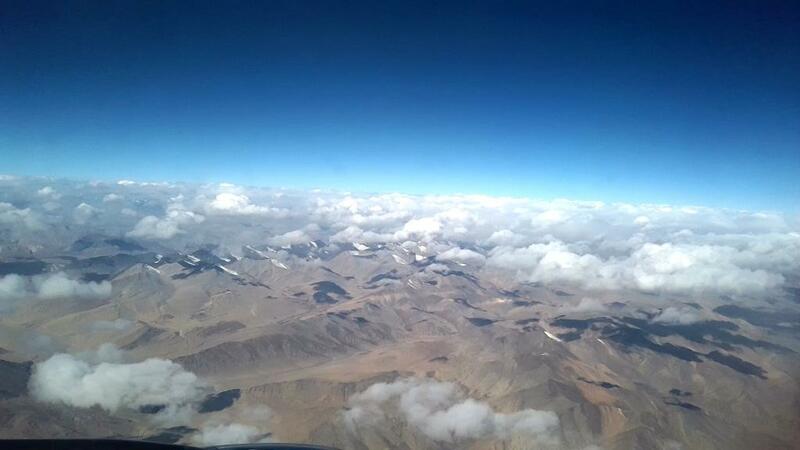 We knew that we were now flying into Ladakh. We were madly engaged in clicking the beauty of these wonderful mountains in our lenses. The spell was hard to ignore. It was suddenly interrupted by another announcement from the cabin of the captain that we were about to descend to Leh Airport. 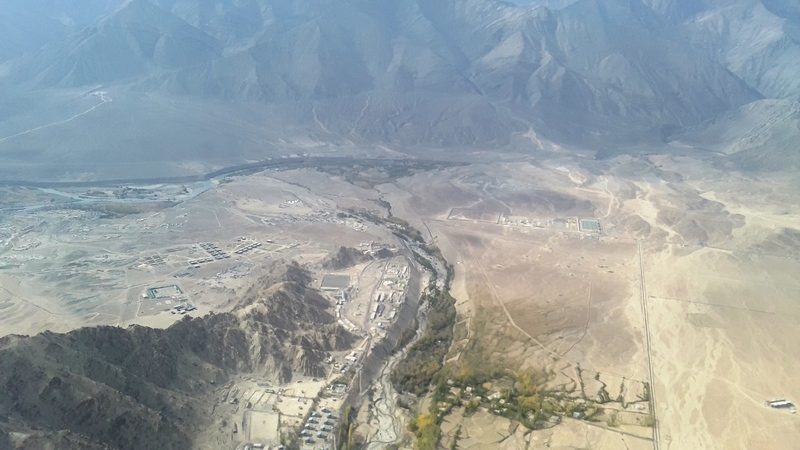 The aircraft jerked its way probably through an air pocket and made a stiff descend now to a well visible valley confirming us of our arrival to Leh. The brown mountains grew taller, bigger and gigantic opening up the view of a grayish valley sparsely bordered by tinges of greenery with a narrow serpentine body of water traversing down through it. It was none other than the mighty Indus river, the cradle of perhaps the most ancient civilization of the world. The dark green waters of the Indus sparkled magnificently in the broad daylight. 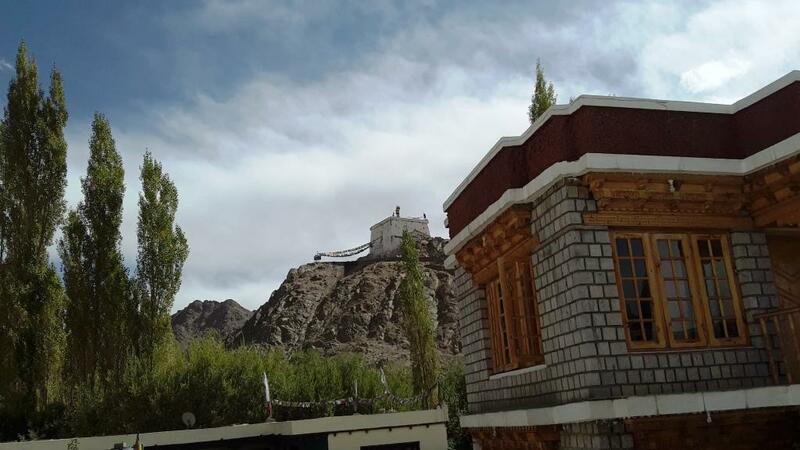 It was bordered by a line of flora and fauna rich in varieties of colours typically seen in the Ladakh during the autumn. Beyond the tree line there was vastness of grey valleys ending up at the feet of the gigantic mountains surrounding them. The miniature houses and a fairly distinct highway were clearly seen below us. It was probably the busy Leh-Manali Highway. 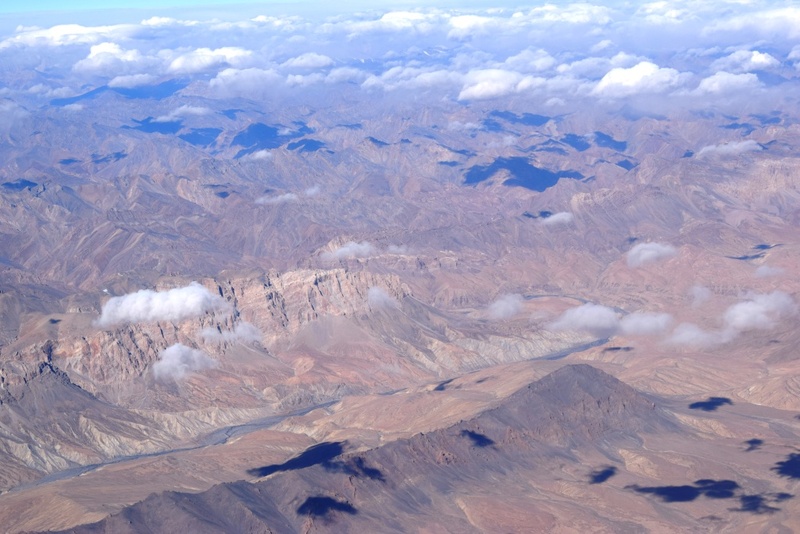 Our aircraft took a slight swerve to the right leaving the serpentine Indus to our left which appeared to twine its way into an approaching gorge deep into the mountains on its way. As we swerved to the right, the aircraft descended on the approaching runway. The valley cuddled us warmly in its hands. 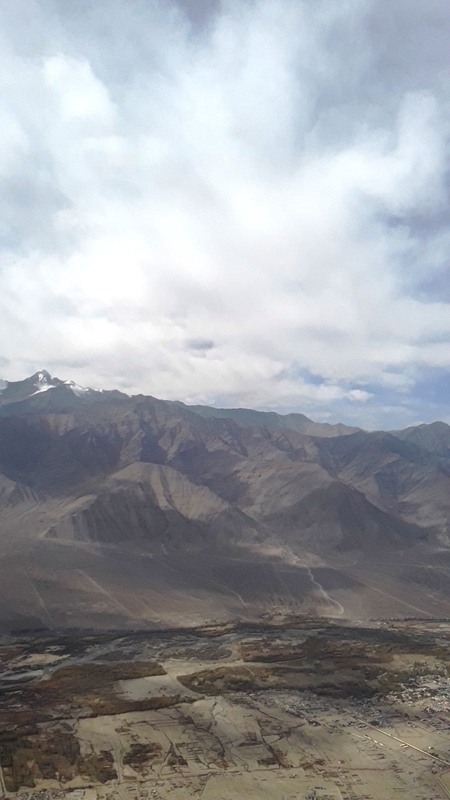 We were right in Leh, the land of the grey mountains. 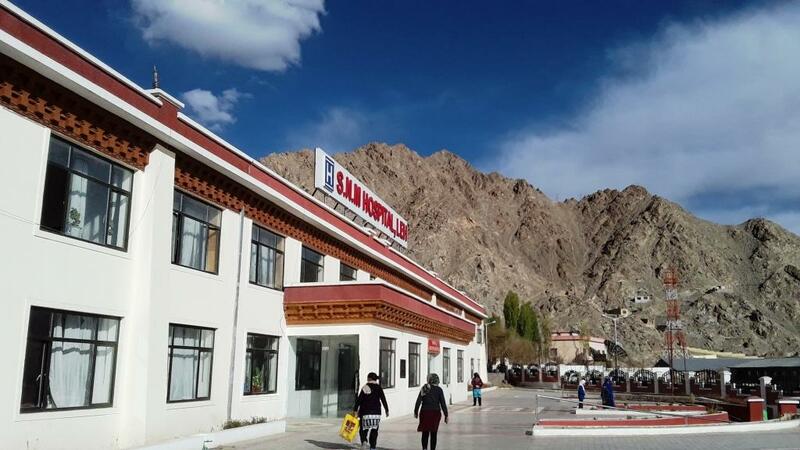 Leh airport now known as Kushok Bakula Rimpoche Airport is fairly a very simple airport with a one storied terminal used for both arrival and departure. We wondered how could it accommodate large airbuses like ours in its tarmac. Considering other airports of our country it was fairly an easy task to collect our luggage. As we proceeded to the exit gate with the luggage trolley, we found a warm and smiling Ladakhi gentleman holding a placard with my name written on it. We knew he was none other than our tour guide Mr. Hassan himself. 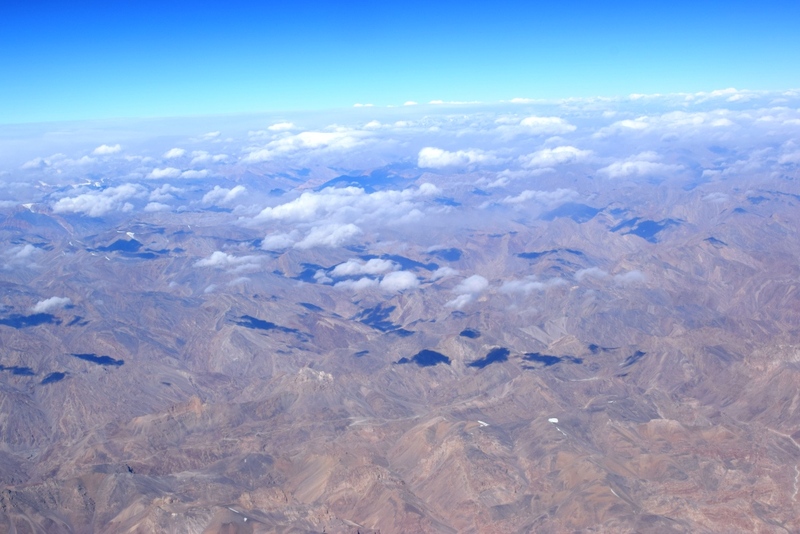 The airport authorities repeatedly reminded the arriving tourists regarding the daunting threats of high altitude sickness advising all of us to avoid sleeping in the day and seek immediate medical attention in case of any symptoms related to breathlessness, headache, palpation, lack of appetite, dizziness, nausea, and sleeping tendency during the day. 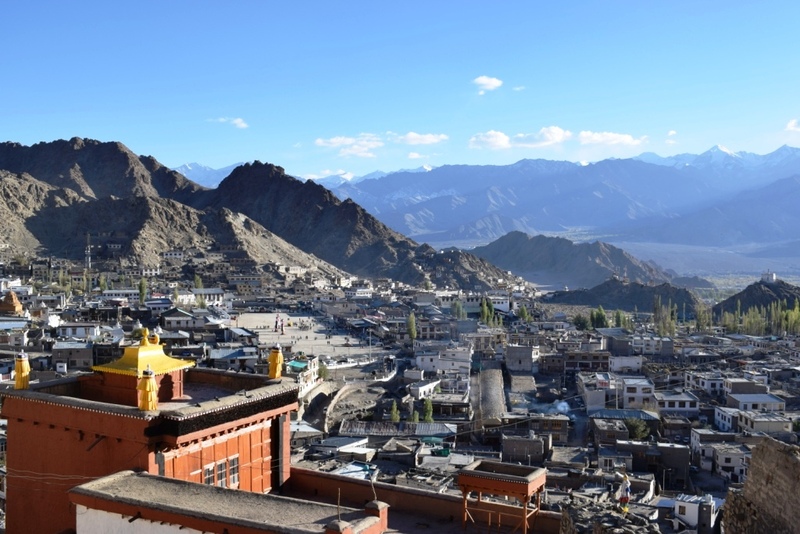 Leh situated at a height of almost 12000 ft above the sea level frequently poses severe health challenges for tourists due to low oxygen content in the air and low air pressure. A days rest is a must for air travelers for ensuring proper acclimatization. 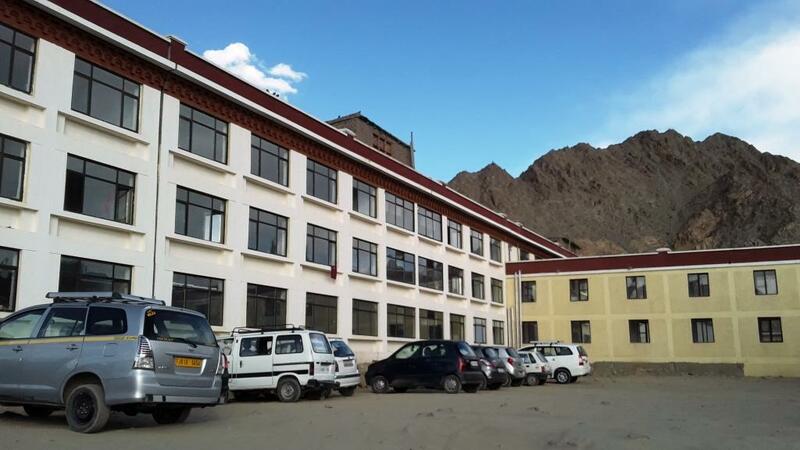 Tourists complaining any of the above symptoms might check in to the SNM Hospital, Leh City which has a fully dedicated tourist ward for visitors suffering from high altitude sickness. It is fair to have a thorough check up and oxygen therapy before venturing into any long tour outside Leh. After checking in to our hotel, we thought that it would be fair to have thorough check up. 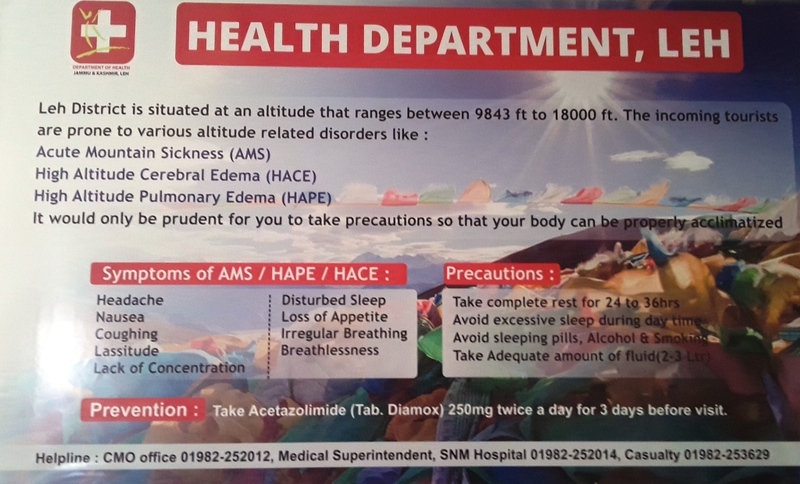 A poster displayed by the Leh Health department at the Hospital reception attracted our attention regarding the preventive measures to be taken by visitors and tourists. 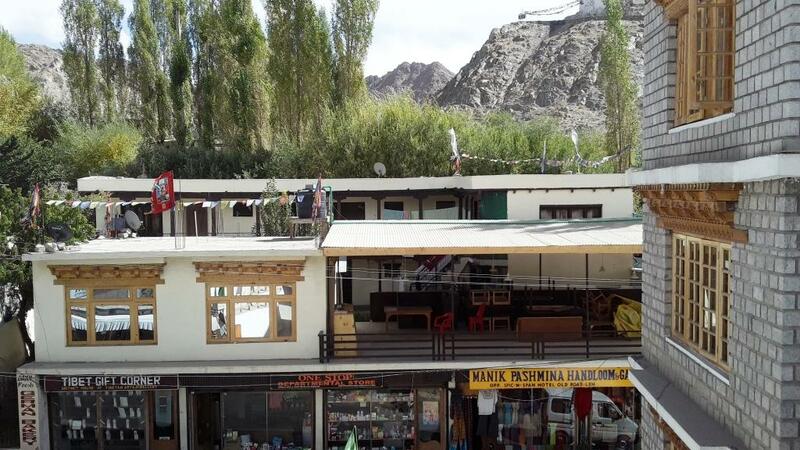 We had a prior booking at Hotel Nezer View Inn located at the Old Leh road which was hardly 3.5 Kms from the Leh Airport. 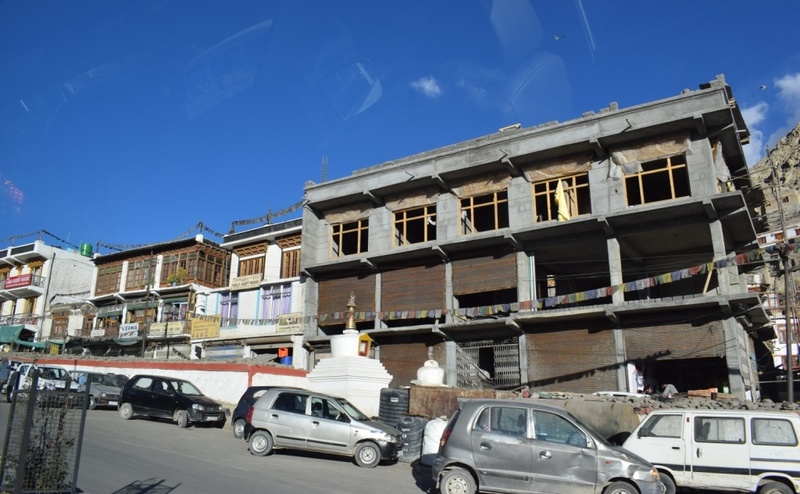 As a budget hotel Nezer View is a decent stay in the city of Leh with beautiful mountain views from almost all its sides. 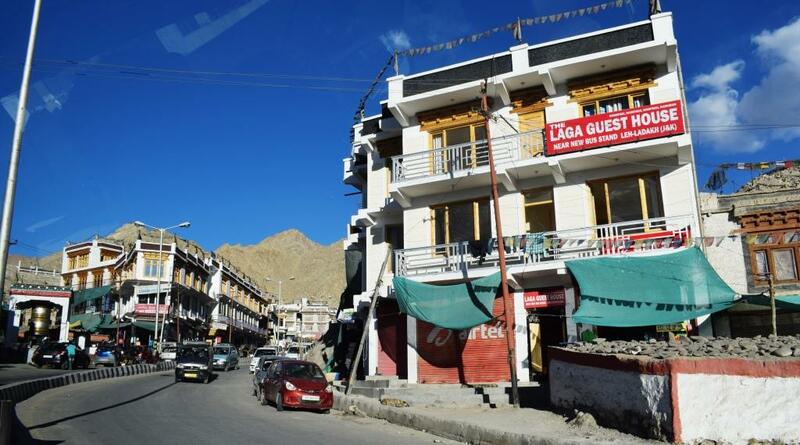 The Old Leh road is pretty busy in terms of housing a number of hotels and tourist guest houses and a fair number of souvenir and antique shops. We decided to have a days’ rest after having a simple lunch at the hotel restaurant. Yet we had to keep the evening on cards as we needed to pick up things from the local market for the next day’s trip to Khardungla and Nubra Valley. The aim of the short evening tour in and around the Leh city with Mr. Hassan was to pick up essential supplies for the next day’s trip. This included hiring an oxygen cylinder, a box full of mineral water, fruits and eateries including chocolates like sneakers, dry fruits, fruit juice cans and necessary medicines. The day was coming to an end very quickly A chilled breeze from the North was literally making our stay in the open uncomfortable. Sipping a cup of black tea in a local tea stall, we were thinking that, it was a fair end to an exciting day. The sun was about to say good bye. It was amazing to find that the sky was still as blue as what we had seen in the morning. The stars had just started showing their presence on the now glowing evening sky. It was getting darker too soon. We decided to speed our way back to the hotel. 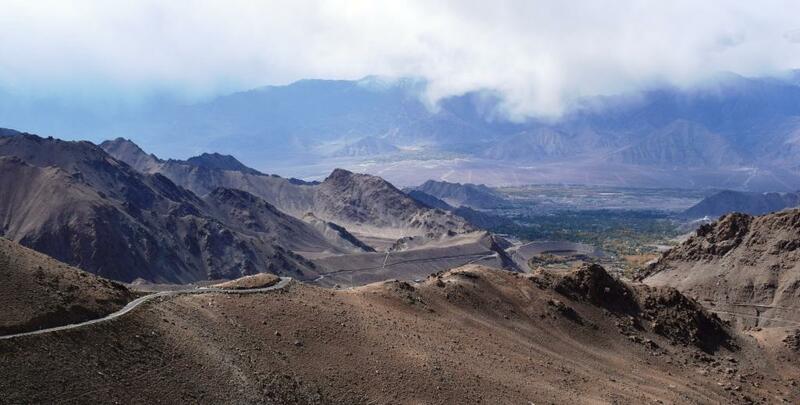 With the Khardungla and Nubra Valley trip on cards, the next day was promising to be one of the most exciting journeys we ever had in our life. What an amazing landscape. And you captured it beautifully in these images. Breathtaking captures…..so clear and pristine!! Beautiful write up too! 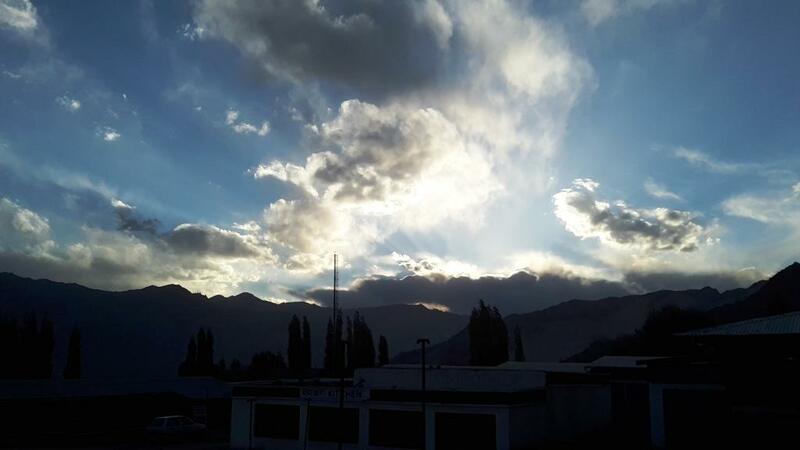 If Heaven is on the earth , it is in Leh ! !